CRAZY COOL GROOVY!!! 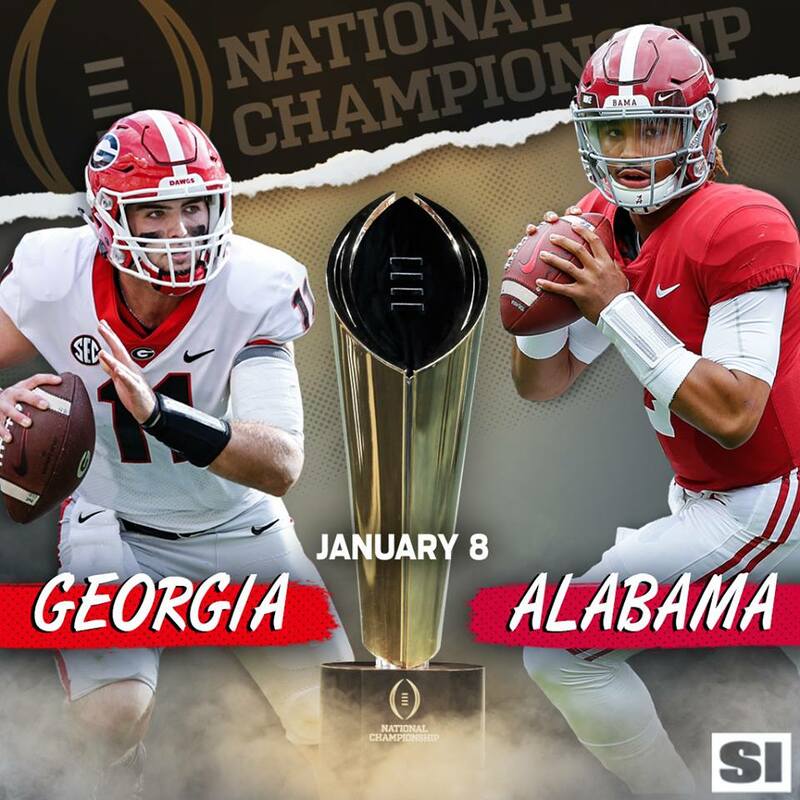 : BULLDOGS vs CRIMSON TIDE For 2018 CFP CHAMPIONSHIP!!! BULLDOGS vs CRIMSON TIDE For 2018 CFP CHAMPIONSHIP!!! HAPPY NEW YEAR 2018 and CRAZY COOL GROOVY CONGRATULATIONS goes out to Head Coach NICK SABAN and the ALABAMA CRIMSON TIDE and Head Coach KIRBY SMART and the GEORGIA BULLDOGS for on last night, winning their respective 2018 COLLEGE FOOTBALL PLAYOFF SEMIFINAL games and advancing their teams into the 2018 COLLEGE FOOTBALL PLAYOFF NATIONAL CHAMPIONSHIP!!! Last night the BULLDOGS defeated the OKLAHOMA SOONERS 54 - 48 in a double-overtime nail-biter at the 2018 ROSE BOWL in PASADENA CA. Later in the evening it was rematch of the 2017 CFP Championship, the CRIMSON TIDE defeated the CLEMSON TIGERS 24 - 6 at the 2018 SUGAR BOWL in NEW ORLEANS, LA. Those two victories have paved the way for an ALL-SEC 2018 CFP CHAMPIONSHIP GAME between the CRIMSON TIDE and the BULLDOGS on next Monday, January 8, 2018, at the MERCEDES-BENZ STADIUM right here in ATLANTA.